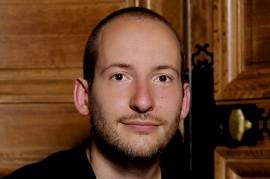 Jean-Yves Ottmann has a background in sociology of work and holds a Phd in management. He came into research after several years of working on change management and psychological health at work prevention. His previous work concerned well-being and malaise in the workplace, how to diagnose psycho-social risks, and the way that public sector organises its research laboratories. He joined the Laboratoire Missioneo in 2016. He’s also an University Paris-Dauphine researcher, in DRM/M&O team.